Dusan Popovic /Dushan Popovitsh/ is on psychotherapy treatment within the Psychiatric Clinic “Epistema”. I will give you Dusan’s characteristics to which I have come working with him. First of all: high introspectiveness, as well as explicit analytical-synthetic conclusion, which contributes to good conclusions from the domain of social relations. I would say that he is distinguished by a high level of empathy, composure, with ability that he clearly recognizes difficulties, both to himself and to others, and that he understands them very well and later on he has ability to transfer it in the form of support and better understanding of himself and the other people. I would emphasize that Dusan is capable of critical thinking, regardless of traditionalism or sentimentality that he possess. He is prepared to consider all of the alternatives, with following his stand about good or bad. He will give priority to reason and faith that human society can be improved by education, innovations and cooperation. in Belgrade, 13th of April, 2018. Marica graduated Clinical psychology at the Faculty of Philosophy of University of Belgrade in 2008. She has worked in various specialized psychiatric institutions. After completing her education at the Institute of Mental Health, she became a Family counselor. She is psychotherapeutic educated in Family and Couple therapy. 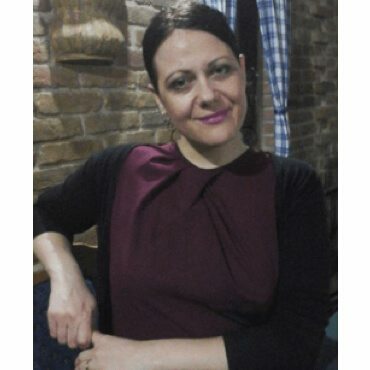 Marica Markovic has a lot of experience in psychodiagnostic work with a wide range of mental illnesses. She has completed several professional courses and trainings, and is also a co-author of professional and scientific papers in the field of psychology.